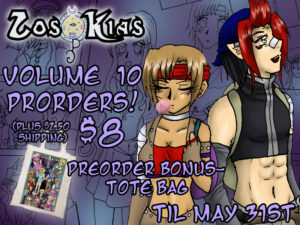 Zos Kias volume 10 preorders are now open! 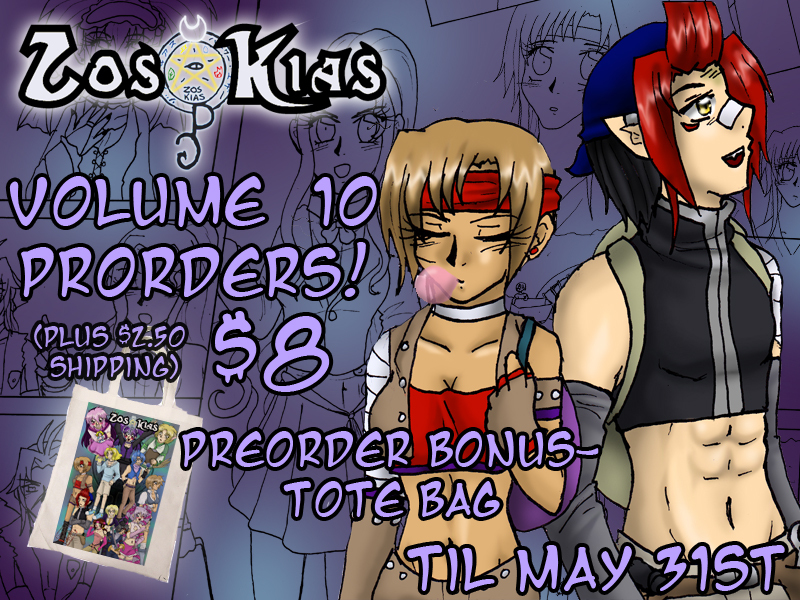 All preorders come with a special edition tote bag as the bonus! Preorders are $8 plus shipping. US shipping is $2.50, please ask about international.